Zabid is one of the coastal towns in Tehama area west of Yemen, sitting on a rise above the river junction and the fertile flood plain. It is a circular fortified town with four remaining gates, which was supplied with water by extensive canals. It was already flourishing when Islam was established in the region in the 7th century. Its development is due to Ibn Ziyad (the founder of the Zyadite dynasty), who was sent to the region by the Caliph al-Mamun in 820 AD to quell a rebellion. The core of the town is its first mosque, Asa'ir. The Great Mosque lies to the west of the town to which spread the souq. Zabid has the highest concentration of mosques in Yemen, some 86 in all, mainly simple brick structures but some with elaborate carved brick and stucco decoration. Fourteen of these date to the Rasulid period - all of them madrasas - and are the largest group of buildings from this period in Yemen. A network of narrow alleys spreads over the town and its vernacular buildings, typical of the southern Arabian Peninsula, give the town outstanding visual qualities. The houses, built of burnt brick, display similar plans with a reception room, murabba, opening onto an enclosed yard. The larger houses extend upwards to two or three storeys and have fine, elaborate interiors with skilfully carved brick walls, niches and ceilings. The city with its narrow closed streets, traditional houses and minarets is an outstanding example of a homogeneous architectural ensemble that reflects the spatial characteristics of the early years of Islam. Around the town are cemeteries, notably the one to the north-west with a mosque, a well and shady trees. Zabid played an important role in spreading Islam due to its Islamic university (the ancient mosques and madrasas which received students from all over the world to obtain Islamic knowledge and study different sciences (substantially developed by Muslim scientists contributing to the advancement of science). Criterion (ii): Zabid is of outstanding archaeological and historical interest for its domestic and military architecture and for its urban plan (the only city in Yemen to be built harmonizing the typical Islamic town's layout with the central mosque and souq, together with houses providing privacy). Its architecture profoundly influenced that of the Yemeni coastal plain. Criterion (iv): Zabid's domestic and military architecture, its urban and defensive fabric layout manifested in its wall remains, watchtowers and citadel, as well as indirect access make it an outstanding archaeological and historical site. The domestic architecture of Zabid is the most characteristic example of the Tihama style of courtyard house, which is to be found over a wide area of the southern part of the Arabian Peninsula. Criterion (vi): The Historic Town of Zabid is strongly linked with the history of the spread of Islam in the early years of Hijra as demonstrated in the archaeological remains within the Alash'ar Mosque, associated with Al-Alash'ari, one of the Prophet Mohammad's companions, who built it to become the fifth mosque in Islam. Besides being the capital of Yemen from the 13th to the 15th centuries, the town played an important role in the Arab and Muslim world for many centuries in view of its being one of the significant centres spreading Islamic knowledge. The adequate size of the property represents all necessary elements and components of domestic and military architecture, its urban and defensive fabric layout, which make it an outstanding archaeological and historical site. However, the recent insertion of concrete buildings, the installation of an electricity system, with unsightly overhead cables, and the increasing use of modern materials such as concrete and corrugated steel sheeting, as well as open spaces invasion, are seriously eroding that integrity. The visual and physical integrity of the property is so threatened by these new developments and encroachments that up to 40% of the structures are vulnerable. There is an urgent need to halt this decline and reverse the undesirable changes. The attributes that convey the Outstanding Universal Value, such as the mosques, city layout and traditional buildings are highly vulnerable to decay, to change in the forms and materials of buildings, and to the spread of new, inconsistent developments to the northern and eastern sides of the city. Nevertheless, even though threatened, a certain degree of authenticity exists and could be augmented if the urban layout and traditional buildings are restored to enable the Outstanding Universal Value to be more adequately conveyed. There is an urgent need to reverse the downward trends. The Historic Town of Zabid is protected by the Antiquities Law of 1973. A Master Plan for the entire city has been approved in 2004 and an Urban Conservation Plan is currently under preparation. A Management Plan for the property will follow the preparation of the Urban Conservation Plan. The Law for the Preservation of Historic Cities will be agreed upon and enforced in the near future. The authority in charge of the property is the GOPHCY (General Organisation for the Preservation of Historic Cities in Yemen), established in 1990 with the aim of managing and safeguarding all the historic cities of Yemen. Since 2007, the local branch of GOPHCY in Zabid has been reinforced, with the support of a project, managed by the German Technical Assistance (GTZ), that aims at addressing the city's severe decline and improve its overall physical, social and economic conditions, through running a housing rehabilitation programme and an infrastructure improvement project. 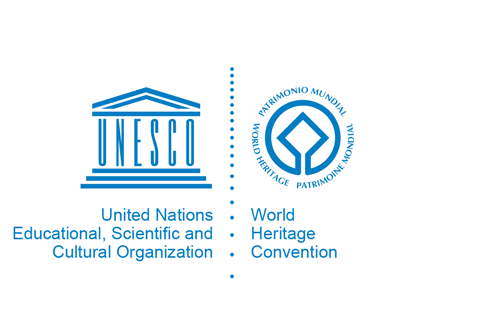 In order to be able to meet fully the requirements of the long term preservation and sustainability of the property, and in the medium term to reverse the downward trends, that threaten its Outstanding Universal Value, GOPHCY will need considerable support, resources, capacity building, as well as technical and financial assistance.